Cancellation & Refund Policy – If you cancel 15 days or more prior to your reservation you will be charged a $25 cancellation fee. If you cancel 14 days or less, you will be charged a $75 cancellation fee. There will be NO REFUNDS for ANY unused portion of your stay or package. Damages – Guests are financially responsible for loss or damage to unit during stay. Guest’s credit card will be charged for damage, loss or extraordinary trash removal, extraordinary stains or soil to carpet, furniture, linen, kitchen, stolen items, and any additional items that are deemed to be damaged in the unit during the Guest’s stay. Pet Policy – PETS ARE ALLOWED IN SELECT UNITS ONLY! ALL GUESTS WITH PETS WILL BE CHARGED A $200.00 NON-REFUNDABLE FEE. Failure to report a pet will result in the Credit Card on file being charged the $200.00 NON-REFUNDABLE PET FEE. All guests caught with Pets in a non-pet friendly unit will be evicted immediately and charged the $200.00 Non-Refundable pet fee. Check-in/out Policy – Our standard check-in time is 4:00 PM and our check out time is 11:00 AM. An early check in or late check out may be possible and available to you for an additional fee. In the event you do not check out by 11:00AM on your check-out date, you will be charged a 50% charge of a one- night stay. The rate is based on the rate for the night of your departure. There are no refunds for early check outs and inclement weather. Grill Policy – NO grills or fryers are allowed in unit or on balcony. Charcoal grills are provided for use behind the outdoor pool of Commons 1, for your use. Housekeeping Policy- All towels, linens, and departure cleaning are included. A departure cleaning fee is applied to all reservations. Smoking Policy – NO SMOKING. Smoking is not allowed in any unit or on any balcony. IF there is evidence of smoking in unit or on the balcony, you will be charged a $200 smoking fee. Parking Policy – A limit of TWO (2) parking permits will be issued per unit at check-in. Permits must be clearly displayed on mirror or dashboard of vehicles. No Trailers, RV’s, Boats or any other pull behind vehicles including campers are allowed inside the resort. Drones – Drones of any kind are not allowed to be flown on any Resort Property as well as Golf Course Property. Violators will be evicted immediately without refund. Local Reservations – All guests who reside within 50 miles of the Brunswick Plantation Community are required to pay a $200.00 Cash Deposit for incidentals for each unit rented. The deposit will be refunded once a manager of the resort has inspected the unit. Age Policy – You must be at least 25 or older in order to rent a unit. Exceptions may be made for married couples with proof of marriage. We want your stay to be enjoyable, pleasant and fun, and for everyone to be considerate of others. 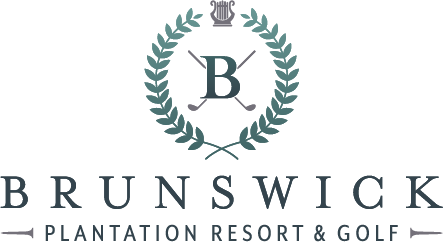 Thank you for choosing to stay with us at Brunswick Plantation Golf and Resort.